Alazya is using Smore newsletters to spread the word online. The larger and smaller stated argued about how many representative each state should allowed. Two plans where made. The Virginia Plan and The New Jersey Plan. The Virginia Plan based on each state would have a different number of representatives based on state population. The New Jersey Plan is based on the number of representatives would the same for each state. 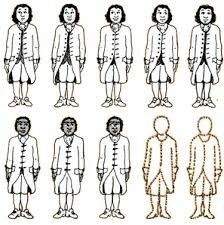 So, Roger Sherman came up with the idea to have 2 houses the Senate and the House of Representatives. 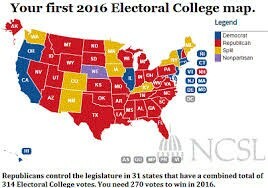 The Senate has an equal number of representatives for each state. The House of Representatives has one representative. Checks and balances are made up of 3 branches the Legislative, Judicial, and Executive. The Legislative branch makes the laws. The Judicial branch enforces the laws also is the Supreme Court. Also the Executive branch is where the President and the cabinet is. This is where checks and balances come to play check and balances are when two branches make sure one branch doesn't have to much power. Delaware, Pennsylvania, New Jersey, Georgia, and Connecticut ratified quickly. Other states would agree to ratify the document with the assurance that amendments would be immediately proposed. 12 amendments to the U.S. Constitution–the Bill of Rights–and sent them to the states for ratification. 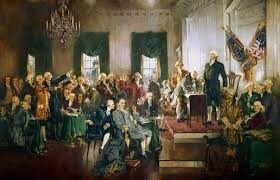 The U.S. Constitution would begin on March 4, 1789. The three fifths compromise is an agreement that counts three fifths of the state's slaves in apportioning representatives, presidential electors, and direct taxes.